Lancashire have played down reports that former England all-rounder Andrew Flintoff could come out of retirement to play for them in the T20 Blast. The 36-year-old, who retired in 2010, has recently been training with the first team at Old Trafford as well as coaching the club's academy players. 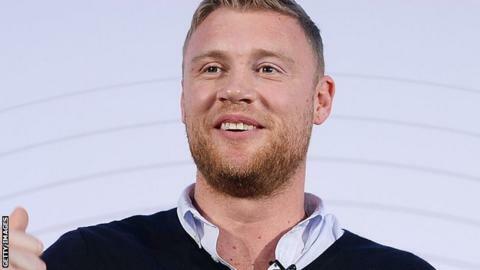 BBC Radio Lancashire reports that no offer has been made to Flintoff to resume his playing career. However, the club have not ruled out the possibility either. A series of injuries forced his retirement four years ago, but last month the chairman of his former club side St Annes said he could turn out for them this summer. Flintoff's return for Lancashire would have a positive effect on attendances for their T20 Blast games. However, another former Lancashire and England seam bowler, Paul Allott, now a member of the club's committee, says there is a long way to go before that happens. "Andrew has been down at the ground over the last couple of months and has been mentoring the Academy," Allott told Sky Sports. "He put his pads on to have a bat, and he has been batting and bowling pretty well. "But he has not played cricket or done any running around the outfield or taken any catches. "He has been more than useful helping the lads. Who knows if it will come to more than that?"